Kate is one of our newest members and comes to the Cottage on Tuesdays. She loves knitting with jute and does so regularly. 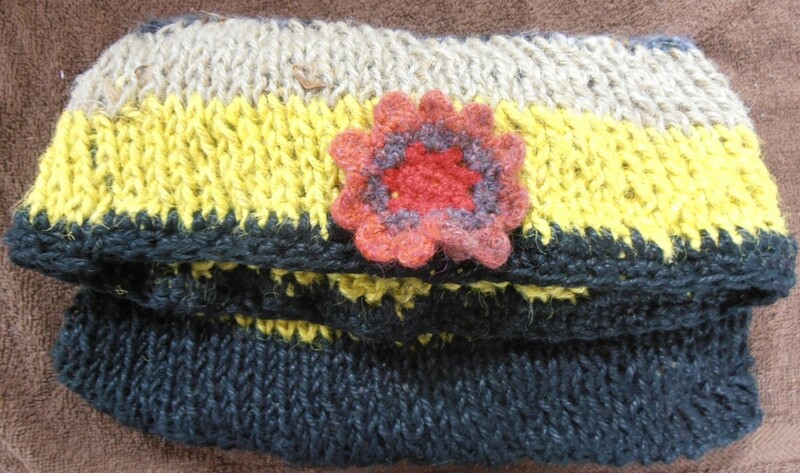 Kate knitted this bag which is almost finished. There is some wool knitted with the jute also which you can just see at the top of the picture, and a lovely crocheted woollen flower to finish off.